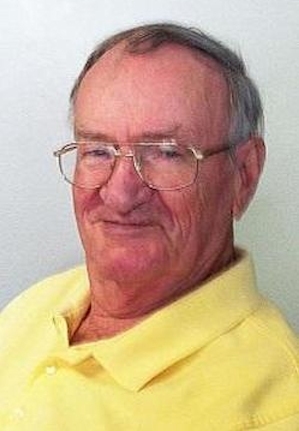 Obituary – Mieir, Donald Herbert « Perry High School Alumni Association, Inc.
Donald Herbert Mieir, resident of Ponca City, OK, passed away on Thursday, July 17, 2014, at Renaissance Nursing Home. He was 89. The memorial service will be held at 3:00 pm, Monday, July 28, 2014 at Trout Funeral Home with his grandson, Adam Countryman, officiating. Burial will then follow at Odd Fellows Cemetery in Ponca City, OK . Arrangements are under the direction of Trout Funeral Home & Crematory. Donald was born on June 23, 1925 to William H. Mieir and Constance (Briggs) Mieir in Perry, OK. He was raised in Perry, OK and graduated from Perry High School in 1944. Following his graduation he began his career with Conoco in 1944 as a process supervisor and retired in 1985, including a tour in England. He was married to Barbara Mieir on September 2, 1977 in Ponca City, Oklahoma. he worked as Process Supervisor for Conoco Refinery. Don’s hobbies included golf, woodworking, bowling, gardening, sports spectator, particularly the St. Louis Cardinals. His favorite was watching his grandsons play football, baseball and basketball. Many special memories of his children and grandchildren always telling stories. He is survived by his children; Ross Mieir of Fort Collins, CO; Linda (Mark) Countryman of Richmond, TX; Tanya (Ron) Pfadenhauer of Chesterfield, MO; Mike (Tricia) Fagg of Ponca City; Sheryl (John) Lindley of Corpus Christi, TX; he is also survived by 19 grandchildren and 18 great grandchildren. Preceded in death by Wife, Barbara Mieir, Grandson, Ryan Mieir, Brother, Frank Mieir, Brother, Albert Mieir, Brother, Phil Mieir, Brother, Robert Mieir, Brother, Chrles Mieir, Brother, Ted Mieir, Sister, Peggy Bryan, Sister, Dora Culver, Sister, Wilma Harkins, Daughter, Sandy Mieir.